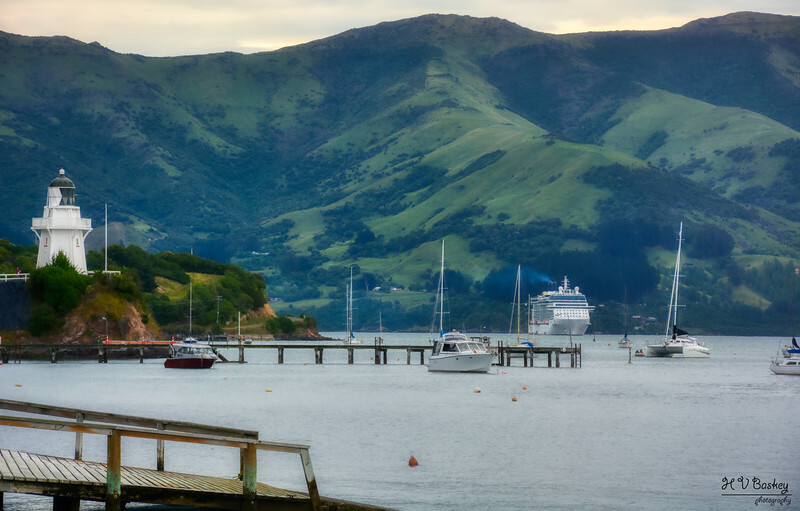 Before I get ahead of myself with our daily diary from Akaroa, I must mention that if you are arriving via cruise ship, set your alarm clock and get up early! 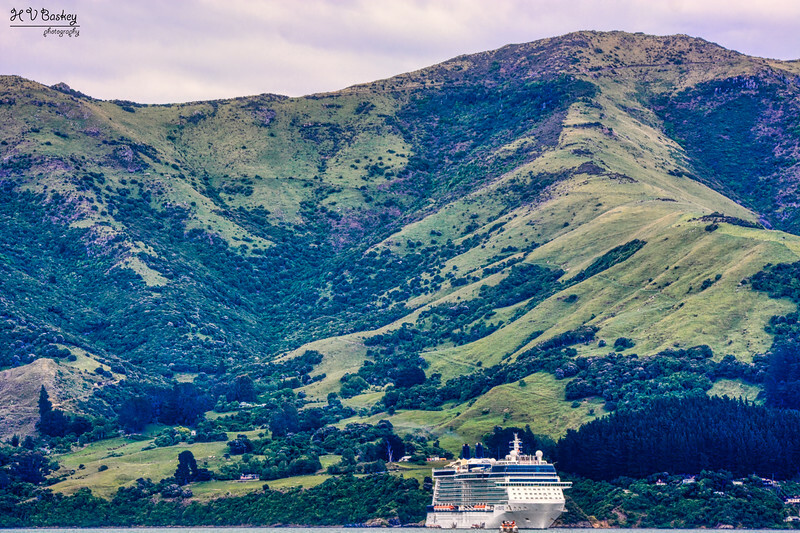 Sailing alongside the Banks Peninsula en route to Akaroa, is worth the sleepy eyes and a much needed cup of tea or mug of coffee! 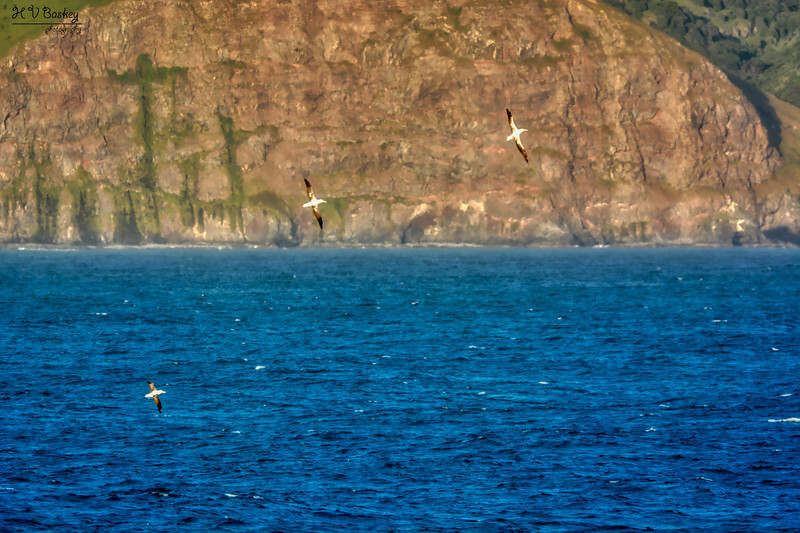 Breathtaking sheered off cliffs from geological forces of nature, to soaring albatrosses catching the updrafts, was absolutely spectacular to observe. I highly recommend the early wake-up call to not miss it! Akaroa is Maori for Long Harbour. 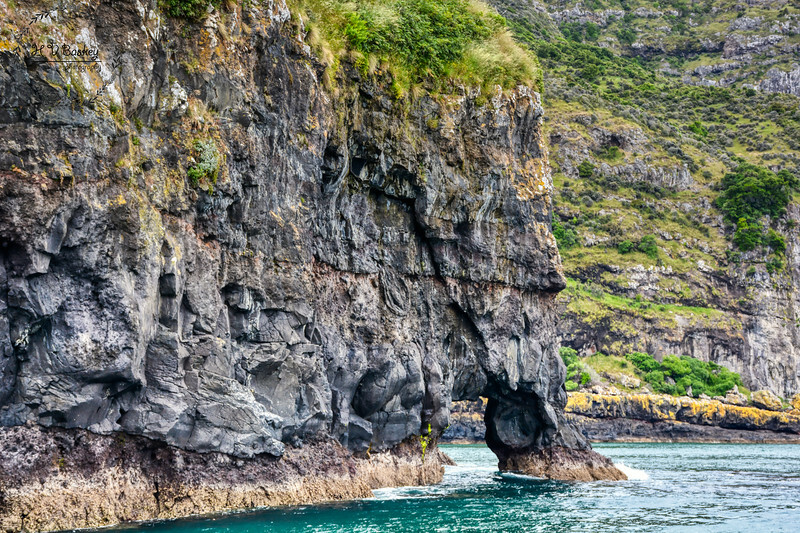 The historic seaside village is tucked into a wide bay on the eastern side of the rugged harbour that was once an ancient volcano. 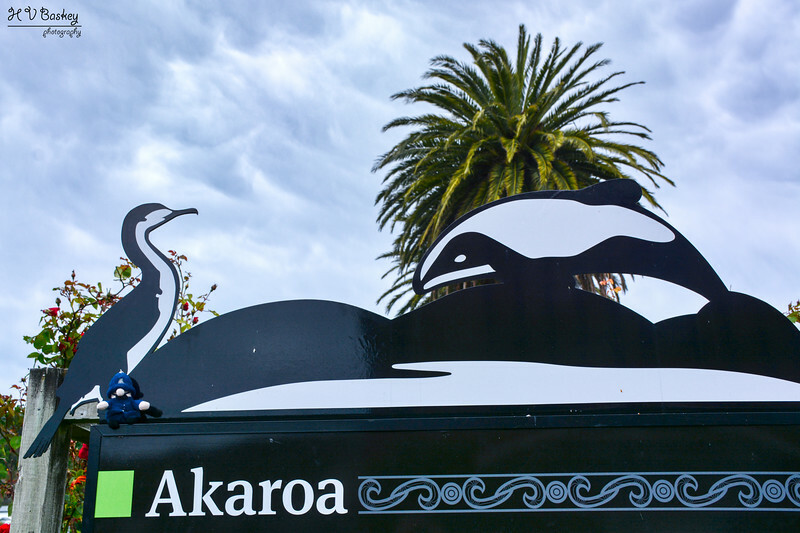 Akaroa is not only New Zealand’s only French settlement, but it is home to the world’s smallest marine dolphin, the endemic “Hector’s Dolphin”. Our plans for the day would be to learn about both! 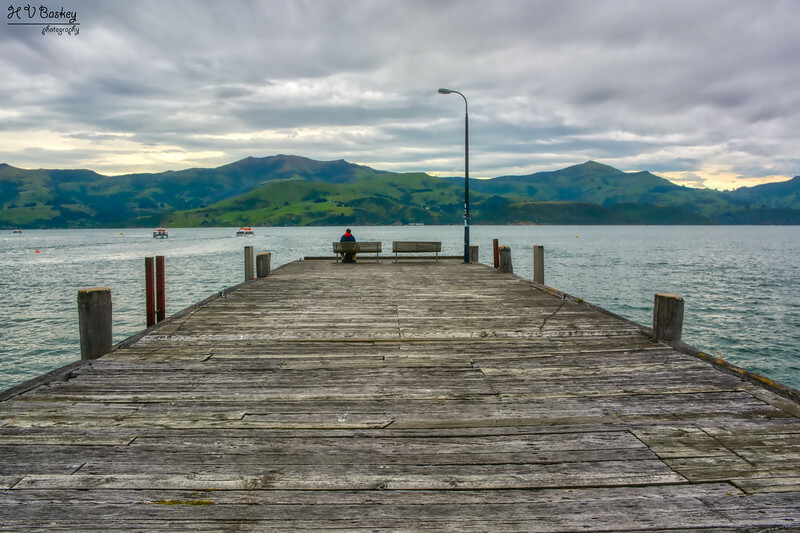 Akaroa is a tender port and it takes approximately 20 minutes to tender from the ship to the shore’s wharf; therefore, one needs to plan accordingly if you have booked a private excursion. The Celebrity Solstice arrived at 08:00 AM and we needed to tender around 9-9:15AM to comfortably make our 10:15 AM morning excursion. As Elite loyalty, we had priority tendering and followed the instructions on the letter note that we received upon embarkation days earlier. We met the Captain’s Club host at the Main Dining Room and were promptly escorted to the tender line. A very efficient process to access the tender boat that we needed for our privately-arranged excursion. 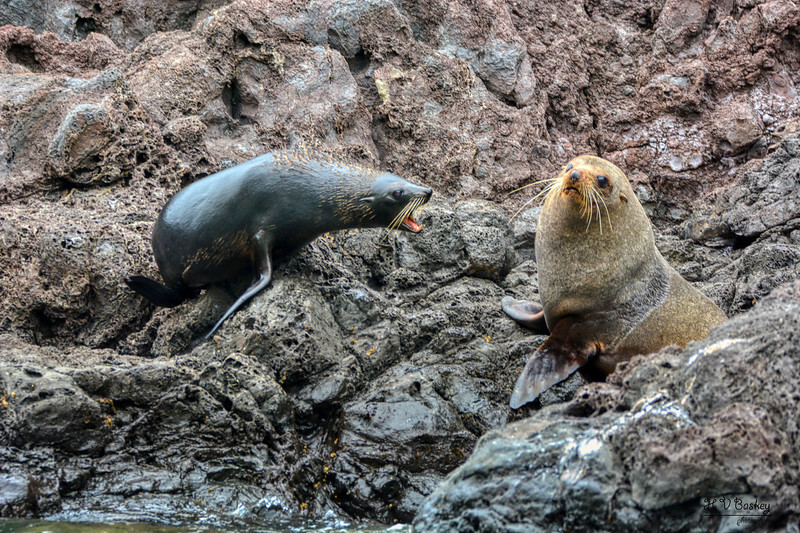 We chose to book with “Coast Up Close”, as it was recommended by a Naturalist/Marine Biologist that we had met when cruising South America. She had personally taken this excursion the year prior and highly recommended the family-run business. It certainly did not disappoint! Captain Tony was amazing and we had a brilliant time on board the two-and-a-half hour small group cruise. 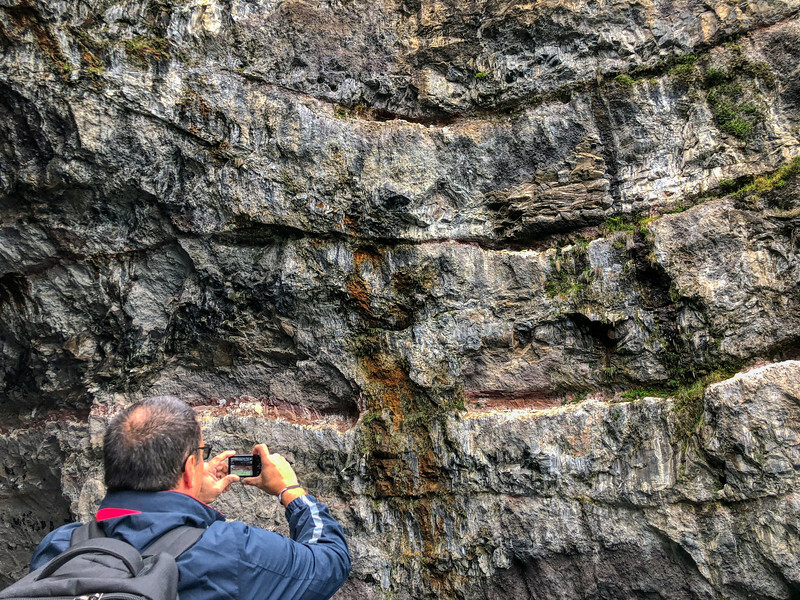 We had prearranged with Coast Up Close our morning tour via emails and booking through their web site. We were assured that if the trip had to be cancelled due to weather conditions, we would receive a full refund. Therefore, we pre-booked with confidence. I shared the information on the cruise critic roll call and we ended up having ~ 20 people from our ship on Captain Tony’s boat for the morning harbour wildlife cruise. He does offer an afternoon cruise as well, but as we had a walking tour scheduled later that day, we chose the morning tour offer. The cost of the tour was $80 NZD per adult. One of our first encounters was the White-flippered Penguin (Eudyptula albosignata); but not just any little penguin as Captain Tony kindly pointed out! 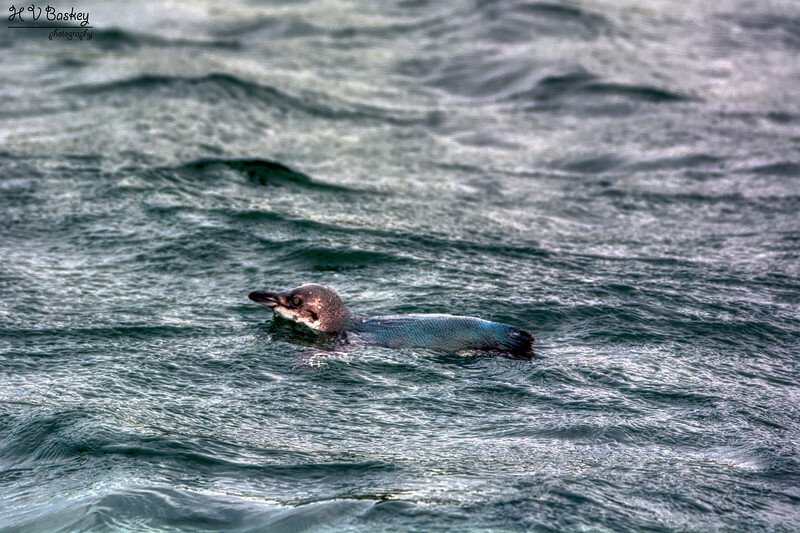 This special little penguin in Banks peninsula is actually referred to as the “White-flippered” (vs. little blue) as they are distinguished from the closely related little blues, by the broad white trailing and leading edges of the flipper. For years, this penguin was classified as a sub-species of the little blue (Eudyptula minor albosignata), but in 2006, it was discovered (via genetic analysis) that it is a distinct species Eudyptula albosignata. Dr. Baker (2006) stated in his petition to split the species that the two lineages diverged about 2.7 million years ago. The White-flippered Penguin is only found within the Banks peninsula (~ 2200 pairs) and Motunau Island (~1800 pairs), near Christchurch, New Zealand. 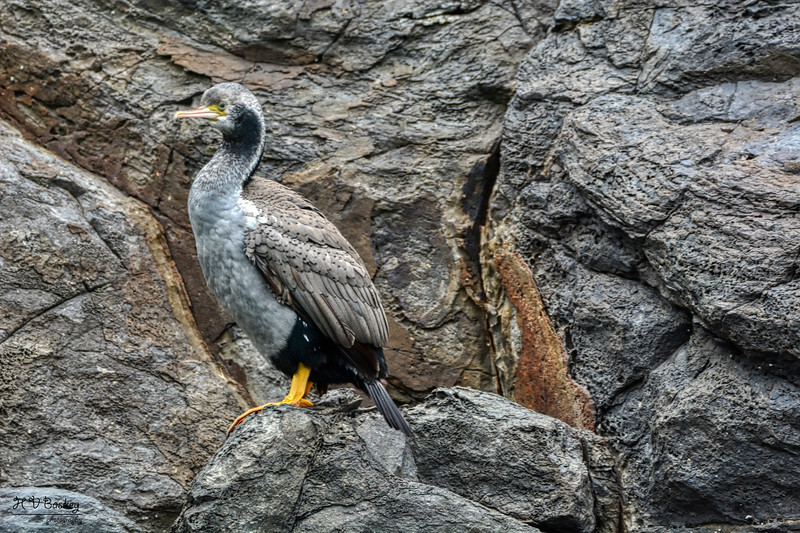 Due to their restricted range and small population size (~ 4,000 pairs), the IUCN (The International Union for the Conservation of Nature and Natural Resources) and Birdlife International classified White-flippered penguin as “Endangered”, and D.O.C. (Department of Conservation, New Zealand) as “Acutely-Threatened” [Source Link]. 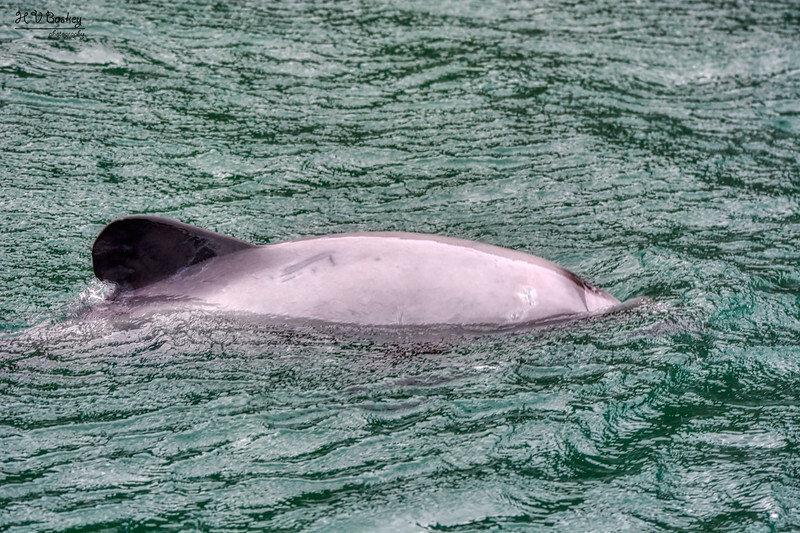 The Hector’s dolphin/upokohue (Cephalorhynchus hectori) is one of Akaroa’s most famed attractions. 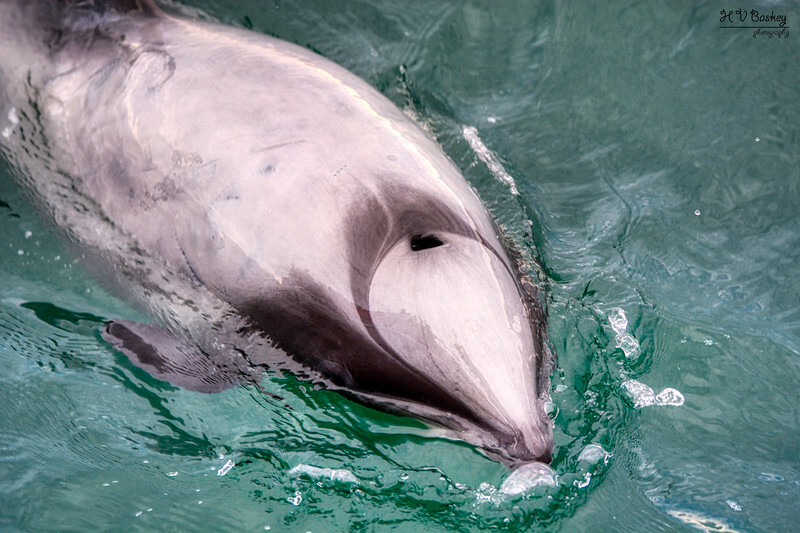 They are among the world’s smallest marine dolphins [~ 1.5m in length] and they are found only in the inshore waters of New Zealand (endemic species). 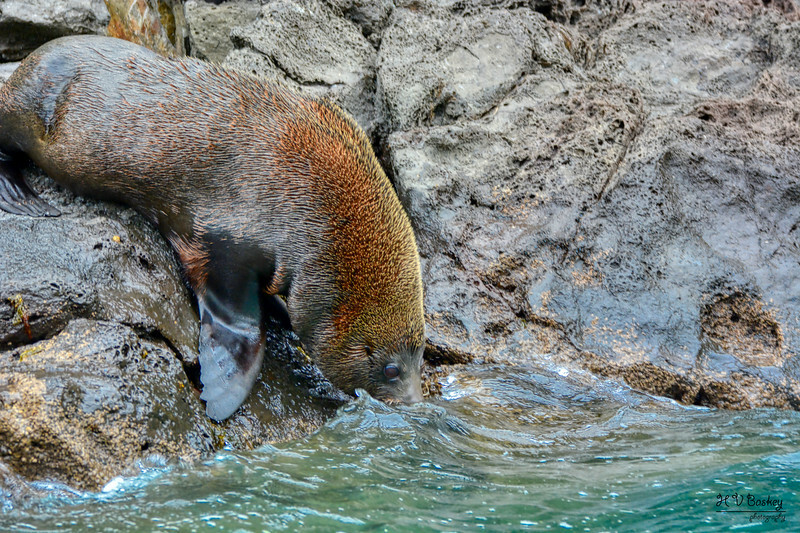 They are classified as nationally endangered due to their small population size, restricted range, and threats due to net fishing and recreational/commercial boats. 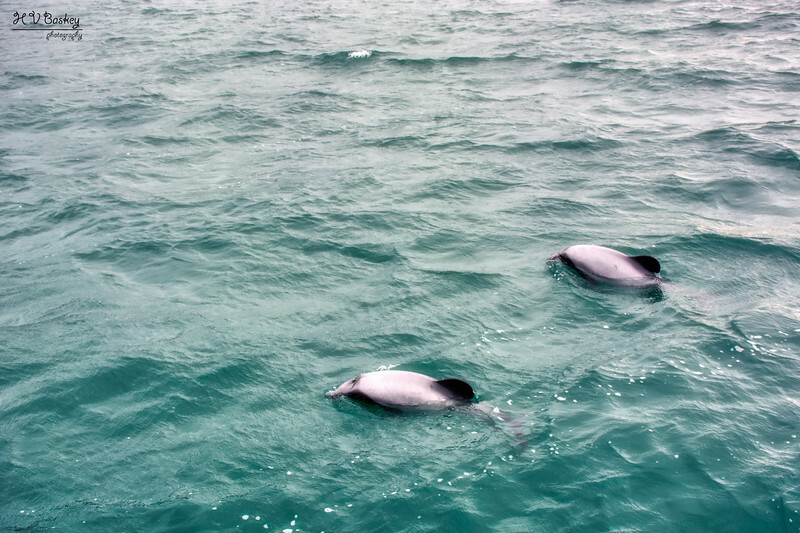 The Banks Peninsula marine mammal sanctuary was established in 1988 primarily to reduce set-net fishing deaths of Hector’s dolphins in the area. 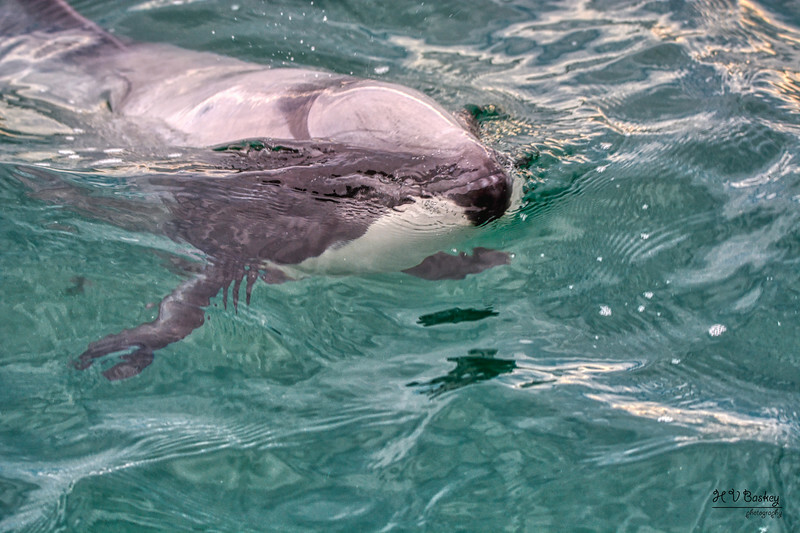 In 2008, the sanctuary boundaries were extended as it was recognized that further efforts were needed in order to protect the Hector’s dolphins. The natural inquisitiveness of these dolphins was incredible and such a delight as they sped towards the bow of our boat to surf and spin within the waves. We had the privilege to observe several small groups throughout our harbour cruise, including two mother-calf pairs! 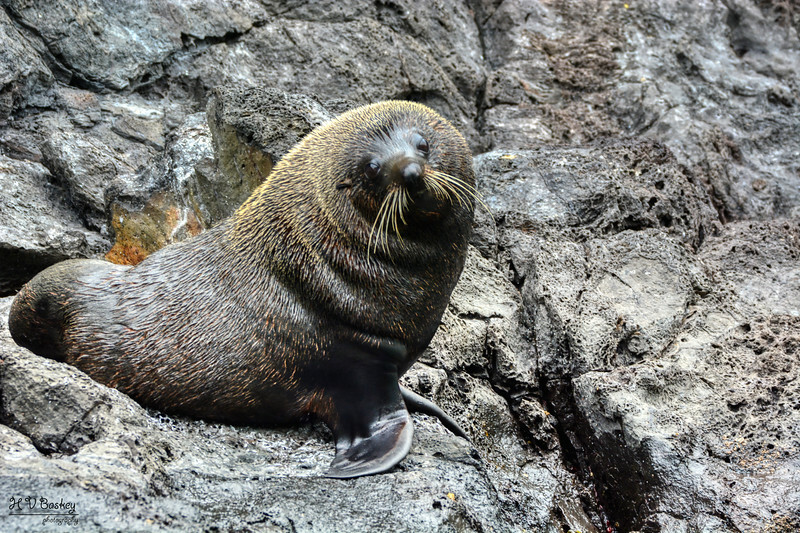 The New Zealand Fur Seal/kekeno is a magnificent creature and is the most common seal found in New Zealand. 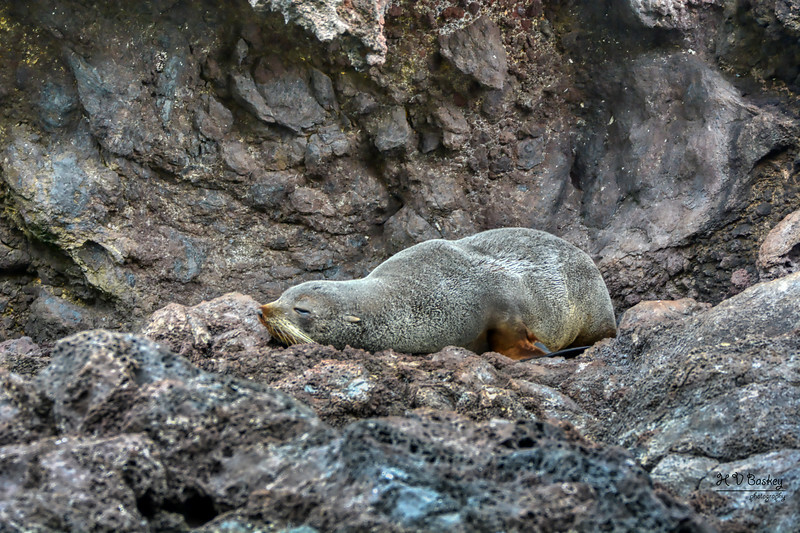 Captain Tony guided his boat, the Wairiri, to the outer heads of Banks peninsula to take us into a cover where there was a small colony with new pups! 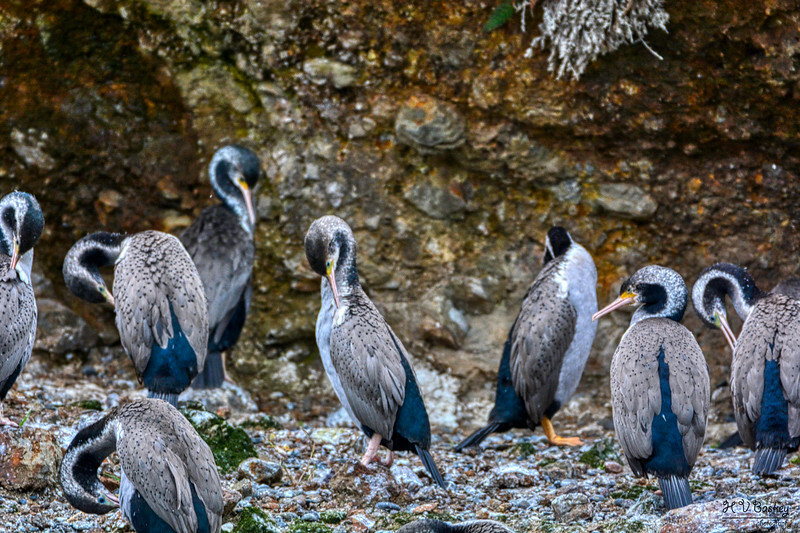 The Spotted Shag was the most common shag that we encountered within Banks Peninsula during our harbour cruise. 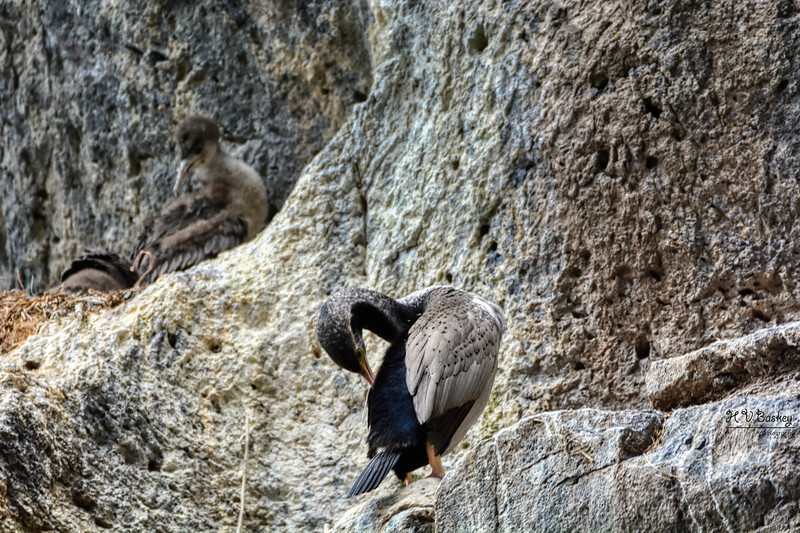 In addition to mammals & birds, we enjoyed the spectacular scenery as we cruised alongside the cliffs of the Peninsula. 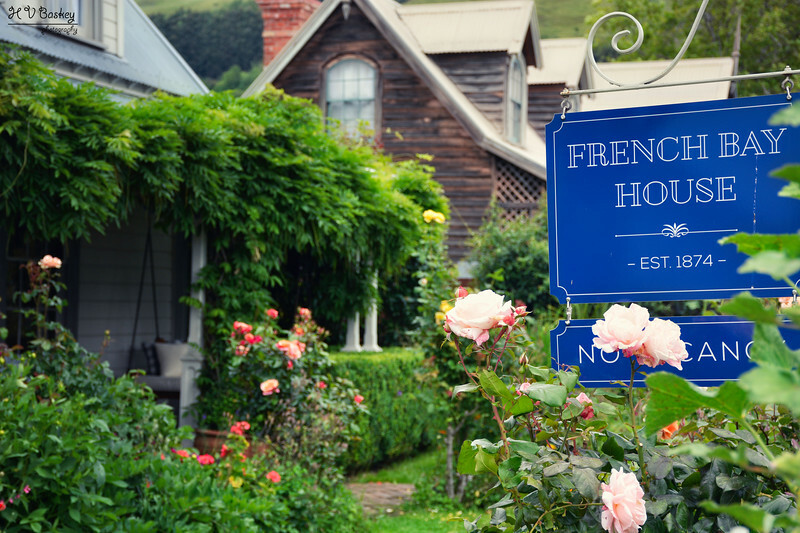 We arranged a small group afternoon excursion with Akaroa Walking Tours to learn more about New Zealand’s first and only French settlement. 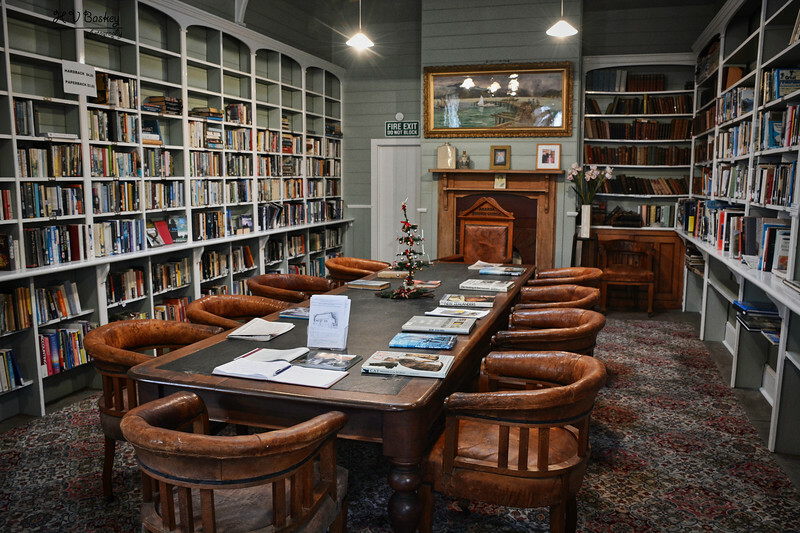 Akaroa Walking Tours is the same company that hosts the morning Celebrity excursion. Therefore, they were available for us in the afternoon. 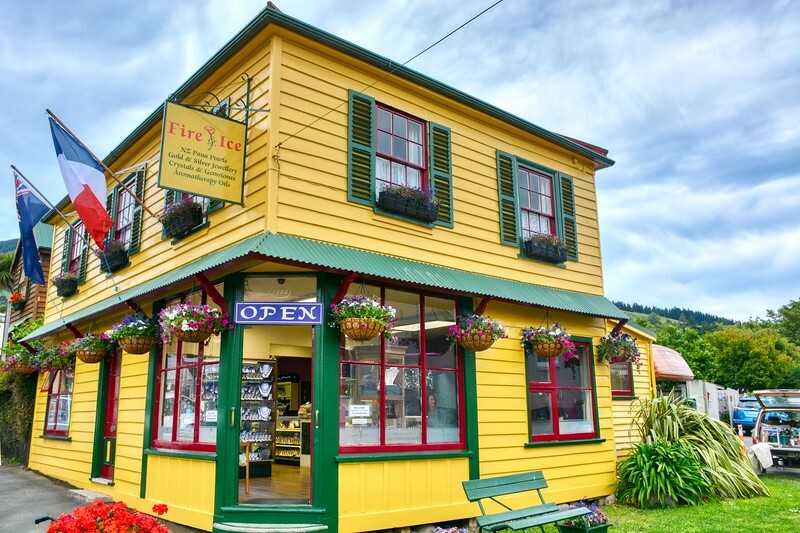 Based on our group size the cost was $15 NZD per adult for the tour “Discover Historic Akaroa” (90 minutes in duration). Our guide Linda met us at the end of the Wharf at 2 PM and she was dressed in period costume, so easy to spot! 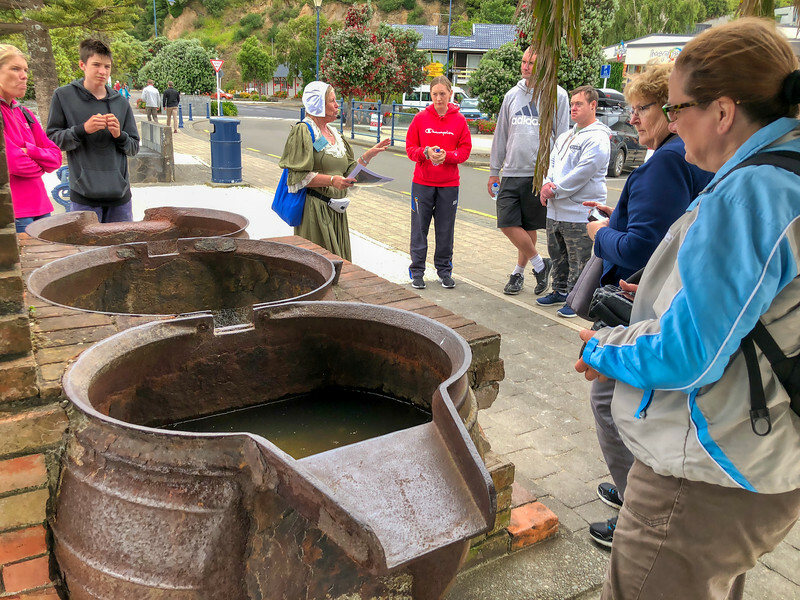 We started at the main wharf and we learned about the interesting and rich history of Akaroa from Linda, who is a descendant of the original settlers. 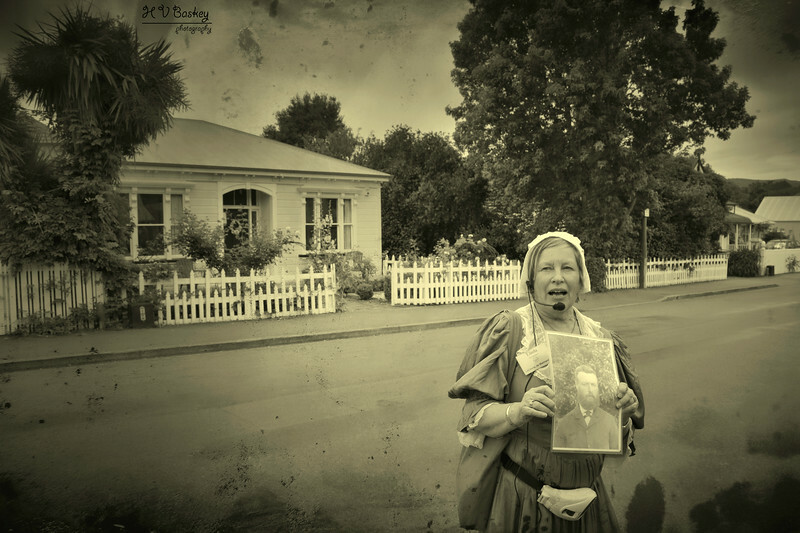 Canterbury region’s oldest town was founded by French settlers. 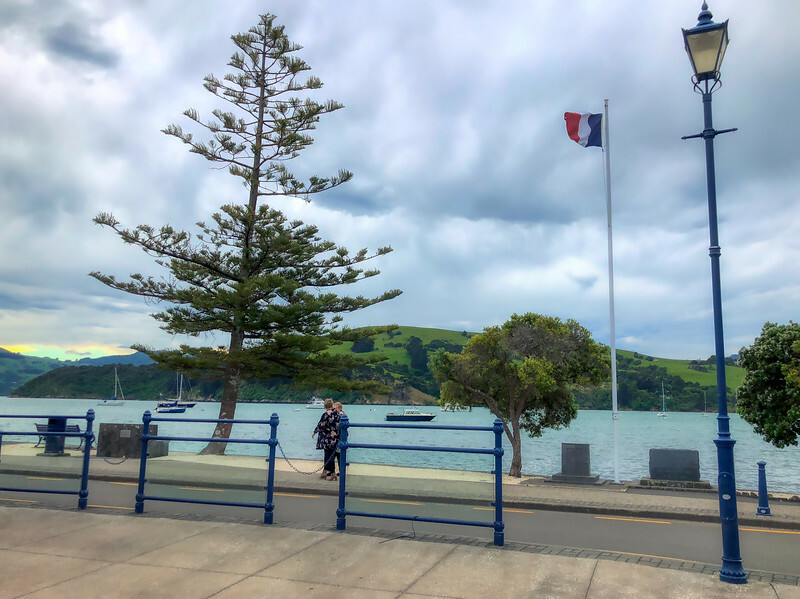 However, in late 1840, when the HMS Britomart arrived at Akaroa on Banks Peninsula, a week before a shipload of French colonists landed there, the ship’s captain raised the Union Jack to confirm British sovereignty. Although considered a British colony, the French settlers remained and in the following years the settlement became firmly established and the colonists prospered. 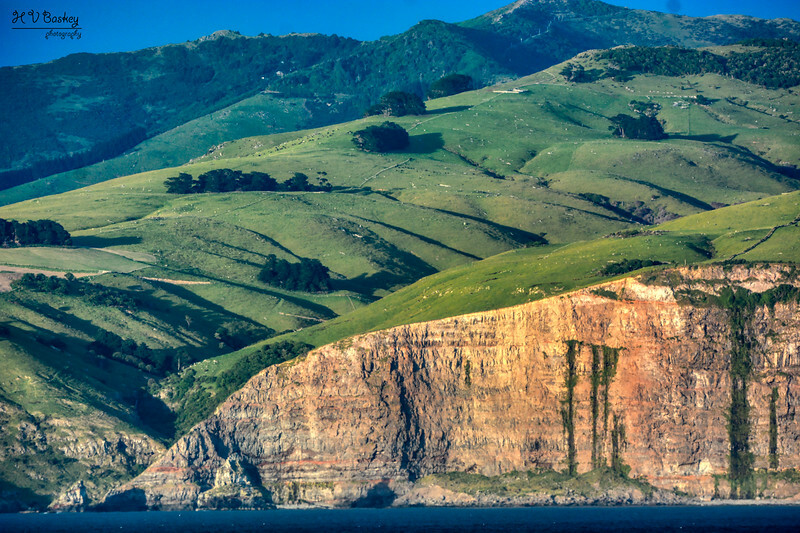 We learned about Captain Jean Francois Langlois, a French whaler from Havre, who was the first to negotiate with the Maori chiefs for the purchase of a portion of Banks Peninsula and played a key role in the founding of Akaroa. We were shown the three whale pots (used to render down whale blubber) that were located at the French landing site. 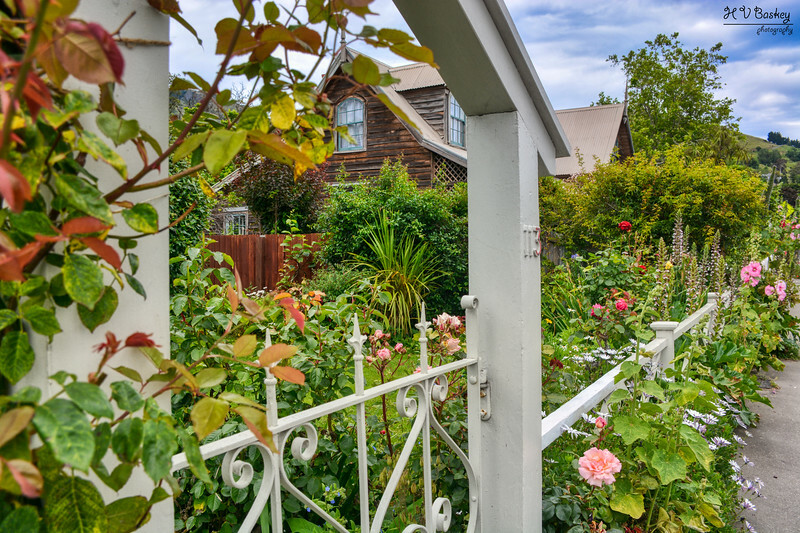 We walked along Rue Jolie to view historical cottages and learned of the colonial success of the Le Lievre family. In the short ninety-minutes that we had with Linda, we indeed had a very good history lesson of the area. Its challenges (British vs. French rule) and its successes (extremely fertile soil and successful settlement) were presented well by our Guide, Linda. email: suky@akaroawalks.co.nz or phone: +64 3 304 7733.